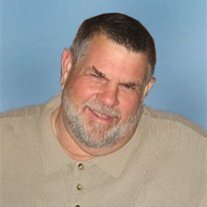 Gary L. Adams, 59, of Akron, Ind., passed away at 11:20 a.m. Friday, Aug. 30, 2013, at his residence after being in failing health for 6 weeks. He was born May 14, 1954, in Rochester, Ind., to Jack Jr. and Aleene (Lowry) Adams. On Sept. 22, 1984, he married Jennifer J. Bickel in Akron. She survives. Gary was a road foreman for Kosciusko County Highway Department where he had worked for 28 years. He was a 1973 graduate of Mentone High School. Gary loved to mow yard and enjoyed NHRA drag racing and going to auctions. He was known to be a friend to everyone. He is survived by his wife: Jeni Adams, Akron; a daughter: Jamie Adams, Akron; a son: Ryan (Chaitra Jewell) Adams, Akron; a sister: Diane (Rick) Landis, Macy; his inlaws: Jim (Shirley) Bickel, Akron; several aunts and uncles and nieces and nephews. He was preceded in death by his parents: Jack and Aleene (Lowry) Adams; and a brother: Dennis R. Adams. Visitation will be from 2 p.m. to 8 p.m. Tuesday, Sept. 3, at Hartzler Funeral Home, 305 W. Rochester St., Akron. Services will be at 10:30 a.m. Wednesday, Sept. 4, at the funeral home with Pastor Terry Canfield officiating. Burial is to be in Akron Cemetery, Akron. Memorial contributions may be made to: Gentiva Hospice of Fulton County.